Yesterday evening saw a chance for the U21's to book their place in the Semi Finals of the inaugural U21's Cup competition. The opponents on the night were tricky opponents and rivals in the form of Arsenal and it would certainly prove a tight affair. Chelsea went into the game slight favorites having been in very good form all through the season and sitting in a good position of third in the league table whilst Arsenal have not had a good run of results and were currently sitting 12th. But as always in cup competitions things do not always play out as you would expect them to. Chelsea fielded a strong starting 11 with Beeney as always between the posts behind a strong defence of Dabo, Davey, Christensen and Ake. The central midfielders were Lewis Baker and John Swift with the attacking midfielders of Boga, Brown and Kiwomya and Islam Feruz would be the focal point in attack as the centre forward. Arsenal Fielded a strong team with experienced players in the form of Miyaichi, Hayden, Afobe and Arsenal latest first team debutant Zelalem. In conflict to their first team Arsenal are a big strong group of lads and took the upper hand early on pressing Chelsea and keeping them pegged back, once again the pitch was to prove problematic and cut up very easily with some very poor patches. The game got stopped early on when a tough challenge went in on Lewis Baker who got caught on the knee and was down for quite some time looking like he would be unable to continue. However he was able to continue and took the opportunity shortly after for a long distance shot forcing a save from the Arsenal keeper. As the game wore on the possession would be evenly split between the 2 teams but Chelsea would be the more threatening with their possession and having the better of the chances but both teams were giving the ball away too easily and Chelsea in particular were frustrating with their decision making in the final third which would continue to be a theme throughout the game despite still having a good number of chances to score. One of the best chances of the half however fell to Alex Davey, a free kick from Lewis Baker was swung into the box in a very dangerous area and Davey found himself 8 yards out clear and unchallenged to poke the ball home but he was unable to guide his attempt on target and it would be one of many good chances that would go begging for Chelsea this night. There would be another flash point just before half time however when Arsenal player Eisfield flew in 2 footed on Isaiah Brown right in front of the referee which did not even provoke the ref to give a free kick let alone the deserved red card which would be one of a number of inexplicable card decisions by the ref in the game. At half time Drummy made a change with Dabo coming off and Ola Aina coming on in a like for like replacement and the Blues would start the second half on the front foot and created a very good chance again. Alex Kiwomya who found himself more involved in the game second half shot down the right and crossed a good ball in Islam who like Davey before him could not guide his shot on target and shot over the bar. The game then settled into a pattern with both teams struggling to retain possession and little in the way of chances. Chelsea then picked up the pace again and fashioned a number of good chances for themselves with Brown and Kiwomya unable to put away some good chances that fell their way which included some good saves from the Arsenal keeper. As the game was closing in on the 90 minutes both teams and especially Chelsea were looking tired and there was a heart in the mouth moment after good from Arsenal down their right hand side saw a man picked out on his own around the penalty spot with the goal at his mercy but somehow he pulled his shot wide. Then there was to be a similar moment down the other end, Alex Davey found the run of Feruz perfectly but the striker was unable to bring the ball under control. Extra time was upon us and it was a slow start to proceedings with both sides having half chances that were hit high and wide before Chelsea had a couple of more good chances not taken, firstly Adam Nditi on as a substitute was found near the back post and with his shot saved the Chelsea players following in bundled the ball into the back of the net but it rightly ruled out for a foul on the keeper as he clearly had both hands on the ball. 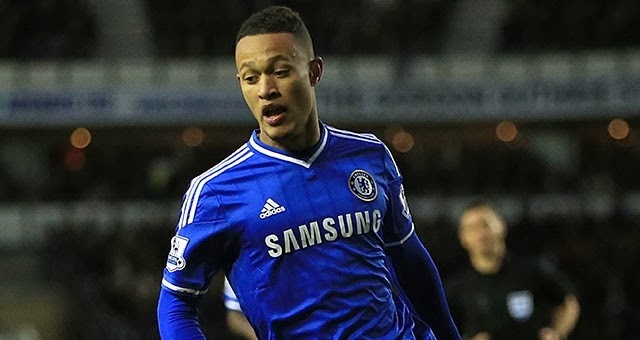 The best moment of the game came from the feet of Lewis Baker, having found his initial free kick come back to him he tried an audacious chip over the keeper which had him completely beaten only for the ball to hit the bar and out to safety. The opening goal of the game came immediately at the start of the second half, a ball over the top which Arsenal had been trying all night with zero success finally found the Chelsea back 4 napping and Afobe was through on goal and he did not waste the chance as Chelsea had been doing all night and hit it passed Beeney to take the lead. Chelsea had more chances to equalize but again failed to take them. The best chances falling to Andreas Christensen who was first ahead of the keeper to a Lewis Baker free kick but was only to see his header hit the post and out for a goal kick. The final chance came from substitute Loftus-Cheek gliding through midfield and putting through Islam Feruz on goal with a great chance but his touch was too heavy and the ball rolled into a grateful keepers hands. There would be a few more instances of inconsistent refereeing in this second half of Extra time, after allowing a two footed tackle to go unpunished he then proceeded to book both John Swift for presumably persistent fouling and Bizarrely Islam Feruz for nothing which the Arsenal player made the most out of, but to top off the bad decisions he failed to book an Arsenal player after blatantly holding onto Brown with both hands around his waist stopping him from running through on goal. So overall a very frustrating night one in which Chelsea will feel they missed a massive chance to go through having had the better of the chances on the night. There will be extended highlights of this game on my YouTube channel Saturday evening.